Kaybridge was awarded the contract to design and construct this 4500m² underground basement car park with a podium transfer slab to support two blocks of flats of three and four storeys (281 homes in total). The basement was designed with two transfer slabs without piling. Vented perimeter walls avoided the need for mechanical venting. The central area of the podium was waterproofed for open landscaping and incorporated a modular water conservation construction for drought and flood conditions. 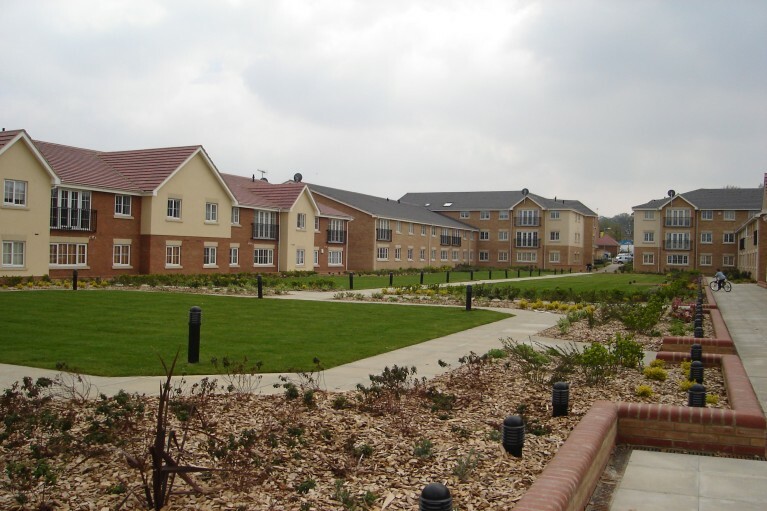 In addition to the basement and podium, Kaybridge also constructed the roads and infrastructure, including drainage and sewers of up to 1200mm, together with groundworks for 173 homes.